St.George Banking Group does business with 2.6 million consumers, business and corporate customers in Australia under the St.George, BankSA and Bank of Melbourne brands. St.George Banking Group has 440 branches, third-party distributors and contact centers as well as more than 1,100 ATMs, a network of EFTPOS terminals, and internet banking services. Customers are at the heart of everything St.George does. The bank is known for providing exceptional service, innovative, award-winning products, and specialist financial advice to retail and business customers. As part of its vision, St.George wanted to automate its fast-moving call center environment to eliminate highly repetitive and manual tasks carried out by staff. The bank needed to virtualize its contact centers across eight sites in New South Wales and Victoria. This would help improve banking services by creating a large pool of agents across these contact centers, reducing the call load on individual centers and freeing up staff resources. Avaya had been providing voice and data infrastructure to St.George for several years and the bank again turned to the company to provide new solutions to improve efficiency at its contact centers. St.George used the Avaya Aura Communications Manager call processing system to create a solution that would virtualize its contact centers. The application runs on four Avaya S8800, S8700 and S8300 Series servers. The bank also deployed Avaya G650, G450 and G700 Media Gateways. At the same time, St.George introduced skills-based routing technology. Based on the customer’s selection, this technology directs customer calls to the right contact center agent using the bank’s interactive voice response (IVR) system. The bank also deployed Avaya Aura Experience Portal, one of Avaya’s self-service applications, which enables the bank to centrally manage and introduce new IVR applications, including speech recognition and voice biometrics services. Biometrics technology improves security by identifying a person’s unique voice print. The solution also enables customers to contact the bank by email if they want more information about a particular product or service. The virtual call center infrastructure – which makes multiple St.George contact centers appear like one center to customers – has enabled the bank to serve customers faster and more efficiently. This is achieved by providing pools of agents to handle customer calls across each contact center. St.George can extend this capability to other locations, as business needs dictate. 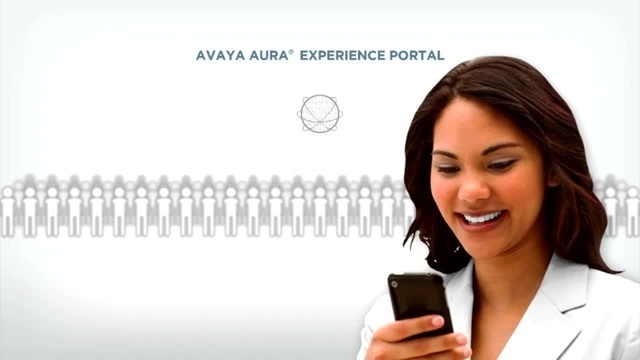 St.George’s speech recognition application now runs on Avaya Aura Experience Portal. This has helped deliver a 33% reduction in unnecessarily transferred customer calls, ensuring that more calls reach the right agent, the first time. According to Greg Willis, Senior Operations Infrastructure Manager, St.George moved its speech recognition application onto Avaya’s contact center platform because Avaya technology is based on open standards, which ultimately makes it easier to manage. “We no longer have to deal with significant numbers of misdirected calls after the customer’s first interaction with our IVR system,” said Willis. “For instance, if a call is about a credit card query, we don’t want that going to an agent who handles credit insurance enquiries. “The system’s skills-based routing function ensures the most skilled agent receives the appropriate call. For example, a call from a St.George Gold credit card holder, who expects preferential treatment, would automatically be routed to a contact centre agent with a high skill level,” he said. The system has also enabled St.George to reduce the average wait time for customer calls by 40 seconds per call. The Avaya technology also enables the bank to interact with its customers through email, which is most useful when a customer wants more product information. “For example, the system automatically identifies which customers have called about a credit card and generates a standard response,” said Willis. “Agents can then edit this response, add their personal details and quickly send the email to the customer. This saves them a great deal of time because they don’t have to write an email response to each query,” he said. St.George is using a voice biometrics application that runs on the Avaya Aura Experience Portal. It identifies each customer’s individual voice pattern when they interact with the bank’s IVR system. According to Willis, this technology saves the agent a great deal of time and takes away the mundane task of repeatedly asking customers for basic identification details. St.George’s contact center operation is a world leader in its ability to retain agents. Staff turnover rates meet best practice standards at only 14% annually. St.George is using Avaya One-X Agent software to support its remote contact center agents. The solution enables home-based agents to use headsets, PCs or laptops to handle customer calls. “It can be difficult to find good agents who have experience in dealing with a range of customer issues,” said Willis. “St.George prides itself on being a flexible employer that attracts quality staff with the right skills. “The Avaya contact center platform enables us to tap into that pool of resources, including agents with high-level skills who don’t want to work at a contact center and want flexible working arrangements." “For example, these remote capabilities are particularly attractive to parents who are trained contact center agents, but prefer to stay at home. As a result, we are able to retain most of these staff,” he said. intlx Solutions is an Avaya business partner.